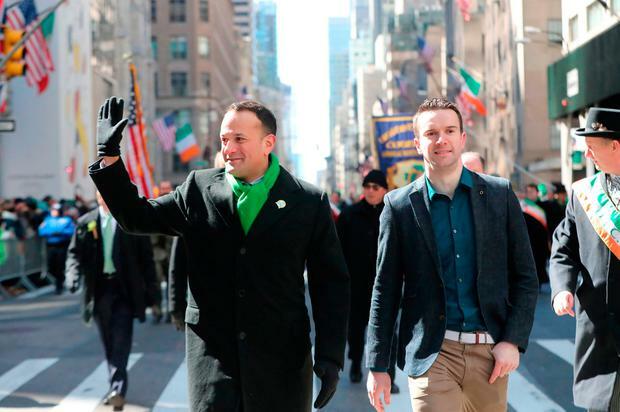 Speaking in New York, shortly before he was due to march in the city's St Patrick's Day parade with his partner Matt Barrett, Mr Varadkar said he felt he has clarified the issue sufficiently. Yesterday, he revealed he had been mistaken when he claimed he contacted a local council about a wind farm planning application that Mr Trump was opposed to. Mr Varadkar said he had actually contacted tourism promotion agency Failte Ireland about Mr Trump's concerns about the impact the wind turbines would have on the view from his Doonbeg course in Co Clare. The Taoiseach made the initial claim about contacting Clare County Council - on the back of a call from Mr Trump - in an unscripted anecdote during a St Patrick's lunch in Washington on Thursday. Speaking to the media on Saturday morning, he was asked if he felt he had "made a show of himself" on Capitol Hill, by "telling a story that was essentially made up". "I don't... I've clarified that I was certainly telling a humorous anecdote and I've clarified it since then and that's the end of it as far as I'm concerned," Mr Varadkar said. Mr Varadkar also confirmed that he would march in the parade with Mr Barrett, a cardiologist based in Chicago. Until recently, the parade had banned LGBT groups. 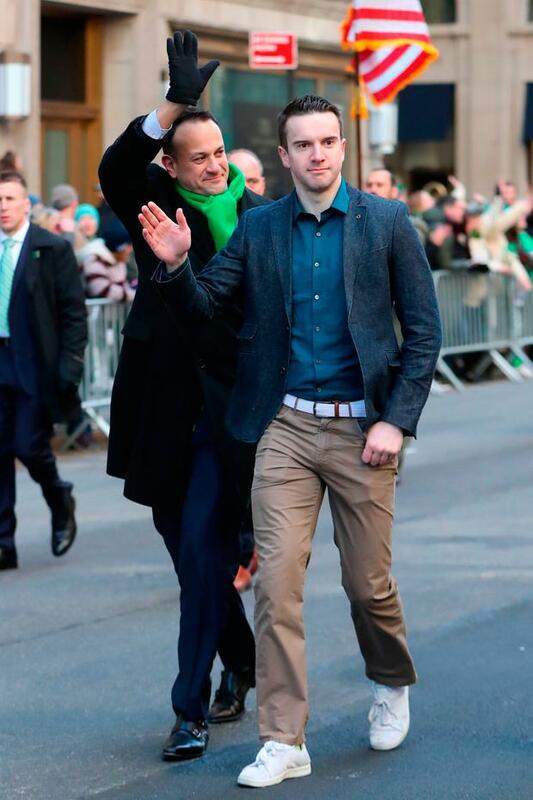 "I had a chance to meet the Mayor (Bill de Blasio) earlier and attend Mass, and I'm going to be able to march in the parade now with my partner which is something that is a sign, I think, of change, a sign of great diversity, not just in Ireland, but in the community here as well," Mr Varadkar said. "I wouldn't say he was an expert on Ireland but he certainly had an awareness of issues relating to Ireland and gave us a lot of time during the day which I think was very welcome. "A big thing that I was trying to get across was that rather than have a trade war between Europe and America, we should have a new trade agreement. And there was an openness to that in the White House and certainly on the Hill."